With the sort of freneticism and energy that is becoming customary in modern electronic music (think Arca, Brood Ma, or Oneohtrix Point Never's latest mish-mashing of styles), Iranian-born, London-based producer Ash Koosha rips his way through all notions of genre, identity and idiom on I AKA I; an exploration of music traditions twisted inside out through technology. Taking inspiration both from his homeland, which he had to leave as an asylum seeker after spending time in jail, and the modern Gotham of the UK's capital, Koosha has synthesised a wealth of sounds into a new form of electronica that defies easy categorisation. The idea of East meeting West in music has long animated the minds of musicians and composers, from the Paul Butterfield Blues Band and their album of the same name to Fatima Al Qadiri's "sinogrime" album Asiatisch, but Koosha takes a novel approach in dissolving both archetypes into one another, avoiding the potential pitfall of focusing solely on a mannered interpretation of a particular form of exoticism. 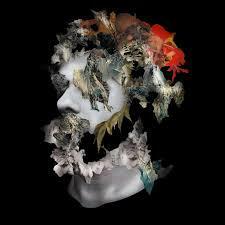 I AKA I isn't an attempt to capture the elusive mystery or charm of Persian music using the codes and language of Western electronica, but a cohesive whole born equally of the DNA of each. The album's title hold the key, as if Koosha is saying that whilst he uses a pseudonym of sorts (his real name is Ashkan Kooshanejad), his music is deeply personal, a reflection of himself without obfuscation, and as such his grasp on the diverse strands of influence within it is complete and without artifice. The building blocks of I AKA I are field recordings and samples Koosha has captured over the years rendered into blocks of sound via a series of electronic manipulations. Voices, percussion and found sounds are compressed to the point of unintelligibility, then reconfigured into blurts of percussion, staccato melodic patterns or loping bass. Koosha's talent is in how he sculpts these abrupt and disparate sounds into songforms that, whilst abrasive and even at times murky, have a clear lineage in drum'n'bass, techno, dubstep and even pop. At times, as voices surge forwards like yelping choirs or a string motif wrestles itself into focus, it's reminiscent of Burial and the way the enigmatic dubstep producer turns voices both spoken and sung and snippets of pop tunes into a new form of propulsive dance. A track like 'Snow', for example, with its bounding percussion and melancholic keyboard melody, may have started life as separate building blocks in need of assembly but now exists as an hypnotic, even catchy mélange of pop, dance, techno and, yes, Persian music. Unlike Brood Ma and Oneohtrix Point Never, Ash Koosha does not let the packed and diverse nature of his sound sources become a distraction, instead focusing on how they can be honed for the uses of his tunes. Repetition, that most important rhythmic tool an electronica (or dance, techno - call it what you like) producer at his or her disposal, is used saliently, each track gaining momentum as it progresses. I AKA I is eclectic and forceful, but always at the service of melody, atmosphere and, if you listen hard enough, emotion. With it, Koosha has thrown a gauntlet down to all electronic artists trying to synthesise the noise of the modern world or of their inner lives into music, simply by showing them how it's done.